John Handy Henshaw, Jr.2,3,4 [Jack Henshaw2,3,4]. BRUNSWICK -- John Handy (Jack) Henshaw Jr., son of the late Alice Anita Stevens Henshaw and John Handy Henshaw died on March 9, 2013, after an extended illness. He is survived by his three children, Elisabeth Castle Henshaw of Rockport, John Handy Henshaw III (Pamela Ballinger), Anne Stevens Henshaw (Bruno Marino), both of Brunswick; and three grandchildren, Lila Castle Hunt of Portland, William Reilly Henshaw Ralston of Rockport and Giacomo Bruno Henshaw Marino of Brunswick. He is also survived by his brother, Weld Stevens Henshaw. Jack was born on March 28, 1934, in New York City. He was raised in Boston and Pittsburgh, spending his summers in Maine. He attended St. Mark's School and Millbrook before entering Harvard College, class of 1956, where he earned an A.B. in Geology. He rowed in the 150 pound crew at college and was a member of the Delphic Club. After Harvard, in 1956 he married the former Elisabeth Briant of Burlingame, Calif., (later divorced). He served in the Navy in Green Cove Springs, Florida where he developed an abiding love of fly fishing. After leaving Florida, Jack lived in Arizona, Pittsburgh and Massachusetts, dividing his summers between Maine and Cape Cod, before finally settling in Maine. In Maine he built a home across the street from his parents and founded a wholesale lumber company, Casco Bay Lumber. Over time, his children, sharing his love for Maine, joined him there. 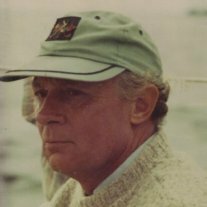 An avid skier and sailor, he took his children on many memorable ski trips to Canada and cruising vacations from the Bras d'Or Lakes to the Chesapeake Bay, including to Down East Maine where he returned year after year. His lobster-style boat, Banjo, plied the waters of Casco Bay for many years. He also organized many fishing expeditions for his friends, family and colleagues. These trips took them to Alaska, Michigan, Maine, Quebec, Labrador, Maryland, Florida, and the Bahamas, among other places. He particularly enjoyed taking his former classmates and friends to Libby Camps in Maine, where they fished for more than a dozen years. In addition to his family and beloved dogs past and present, his greatest joy in his later years was his annual fishing trip to Patagonia, where he traveled with friends and family nearly every year in the last decade of his life. He counted among his closest friends the guides he fished with there. In 2011, he was able to preserve the land his parents left to him in a conservation easement, the Chase Reserve, named for the family that first settled the property and who built the house where his parents lived and his son, John, now lives. The property on Maquoit Bay will forever be a place of unspoiled beauty for his family and friends to enjoy picnics by the shore. In lieu of flowers, donations can be made to the Mid Coast Hunger Prevention Program (www.mchpp.org) and the Brunswick Topsham Land Trust (www.btlt.org). Obituary of John Handy Henshaw, Jr..
1940 census, 4th Ward, Boston, Suffolk County, Massachusetts; roll T627-1662, ED 15-185, page 3B, line #46, household #140.